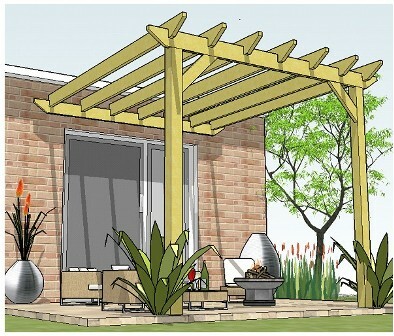 These lean-to pergola plans show you how to build a fantastic garden feature attached to the house: a place to relax, entertain and soak up the sun. It can also be built as a porch, log store, garage, and even a walkway, next to a garden wall, clothed in beautiful and fragrant climbing plants! The plans can be adapted to fit any situation, and include 18 free rafter tail templates to make your pergola a unique and interesting addition to the garden.